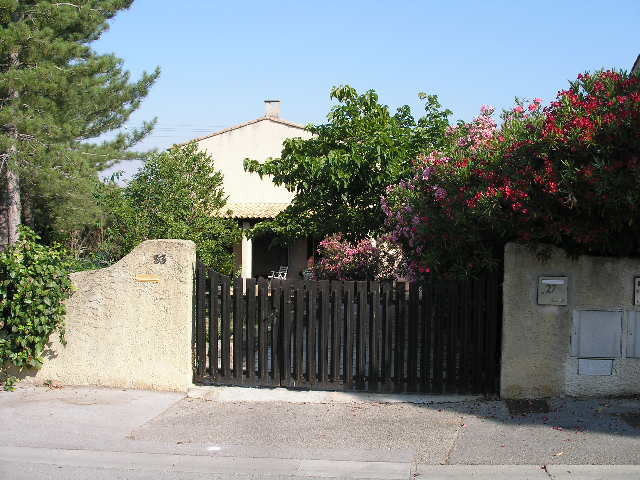 The Hameau des Bolles is on the outskirts of town. the hill is the entrance to the Hameau des Bolles. The house is one of an estate comprising 55 houses. 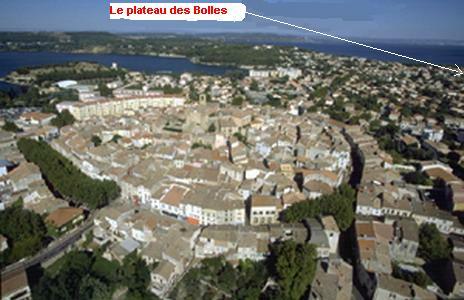 It is situated on the plateau overlooking the town of Istres. 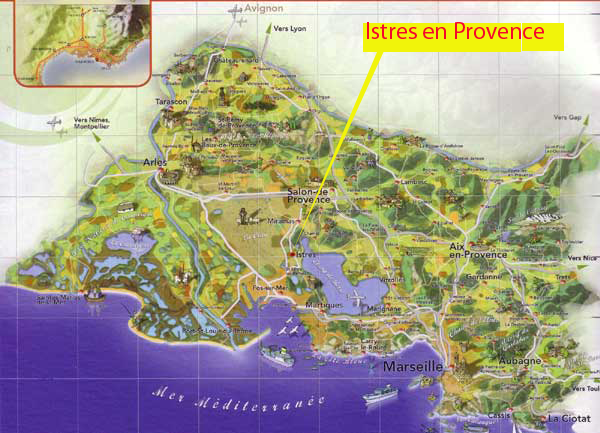 The cliffs of this plateau rise up from the shores of the Etang de Berre, beside the marina of Les Heures Claires. Cars can be parked in the garden.